Quick! 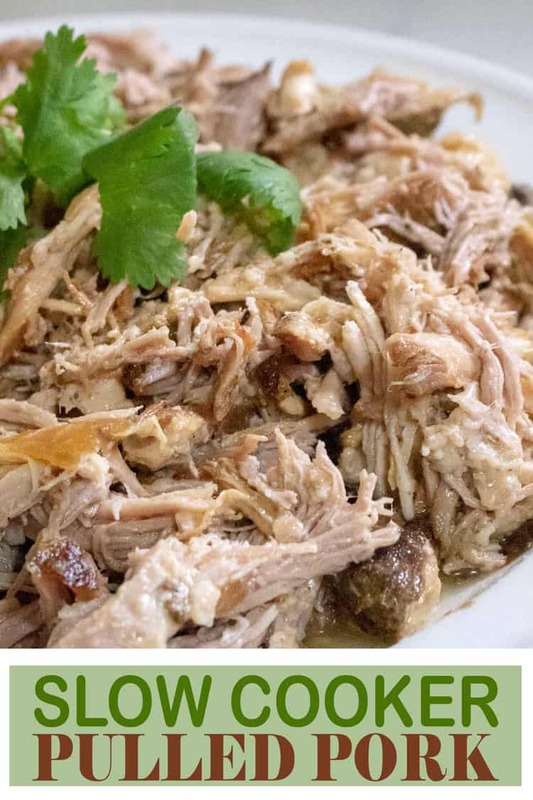 Pull out the slow cooker because you are absolutely going to want to try this delicious Slow Cooker Pulled Pork recipe! One of the things I love most about this recipe (and there are several things to love…just keep reading below) is that it packs an incredible amount of flavor with just a few ingredients! 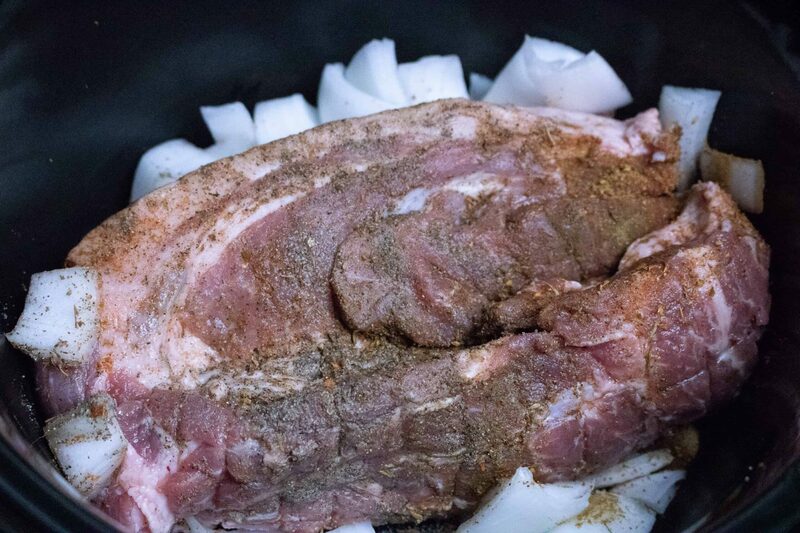 Pork, onions, and spices such as cumin and Cajun make this pork irresistible. I absolutely love to cook, but there are days when I look at a recipe with an ingredients list as long as my arm and quickly say, “next”! Don’t get me wrong. 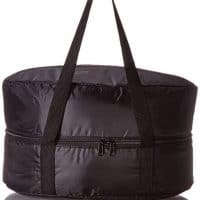 There are days, moods and times when those lengthier recipes are just the thing I’m looking for, but during an action-packed, busy week of work, school, games, and appointments, the simpler the better. And that’s exactly what you get with this Slow Cooker Pulled Pork. First off, it’s super easy!!! Life is busy. Let’s all admit it’s hard to put yummy food on the table for our families each and every night. 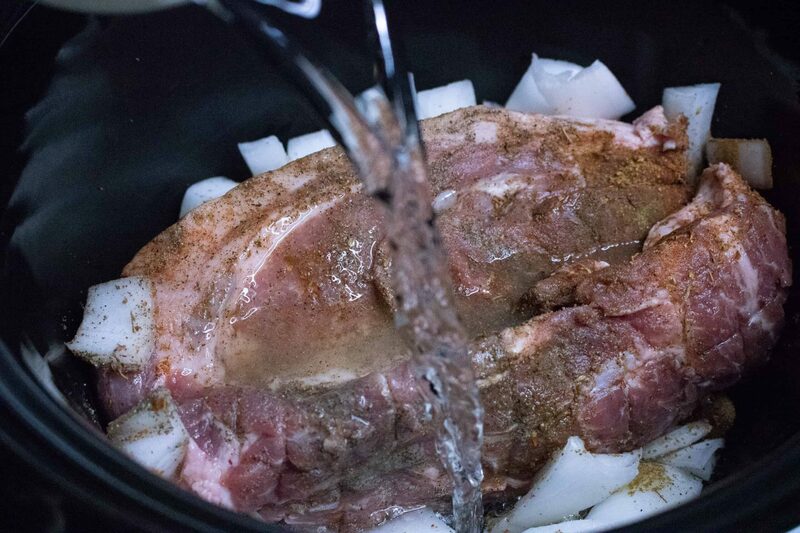 That’s the beauty of this Slow Cooker Pulled Pork recipe. 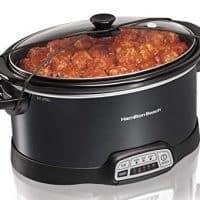 5 minutes of prep and the slow cooker does the rest while you are at work, or while you clean, or play catch with the kids, or do whatever else you need (or want) to do. This pork is moist and super flavorful! Thanks to being cooked “slow and low”, the meat stays moist and juicy. Plus who can resist the amazing flavor that cumin imparts? Coupled with the Cajun seasoning, the taste of this pork is amazing. Serve this pulled pork as a “bowl”meal like I did. Pair it with rice, cheese, and tomatoes for a delicious and hearty meal. Make a classic pulled pork sandwich on fresh bread and serve with coleslaw and a side of pickles. Top it with your favorite barbecue sauce, or spice things up with a little Sriracha or other favorite hot sauce. This pork plays well with so many other flavors. Have fun with it and think outside the box! There are no rules, just tender, juicy deliciousness. 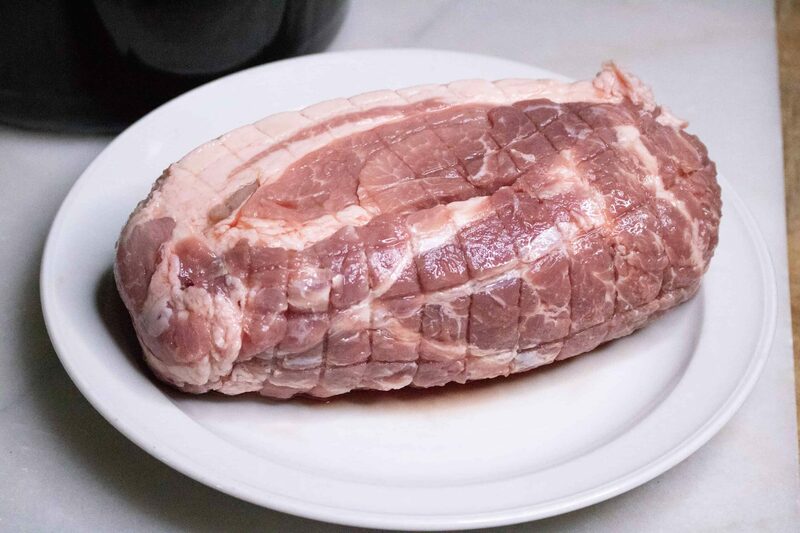 Step #1: Cut pork roast in a criss-cross fashion. Step #2: Place pork into slow cooker and top with chopped onions. Step #3: Next, rub spices into crevices of meat. 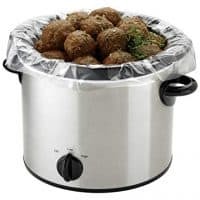 Step #4: Add water to slow cooker and then cook on low for 8 hours. Step #5: Remove pork from slow cooker and shred with a fork. 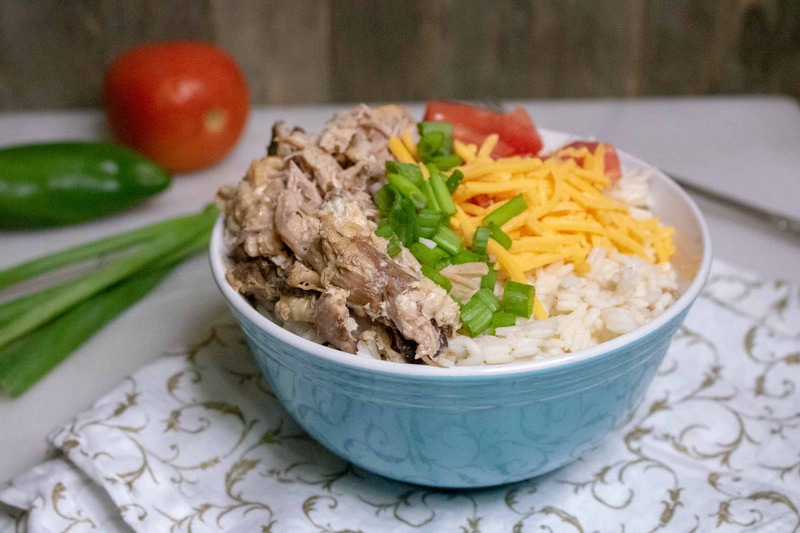 Step #6: Serve “bowl style” with rice, shredded cheese, tomatoes and green onions. Enjoy! Looking for another delicious, easy to fix recipe? How about this Instant Pot Pork Chops with Tomato Cream Sauce recipe? It checks all the quick, easy and tasty boxes. Or maybe a family member is simply not a fan of pork. 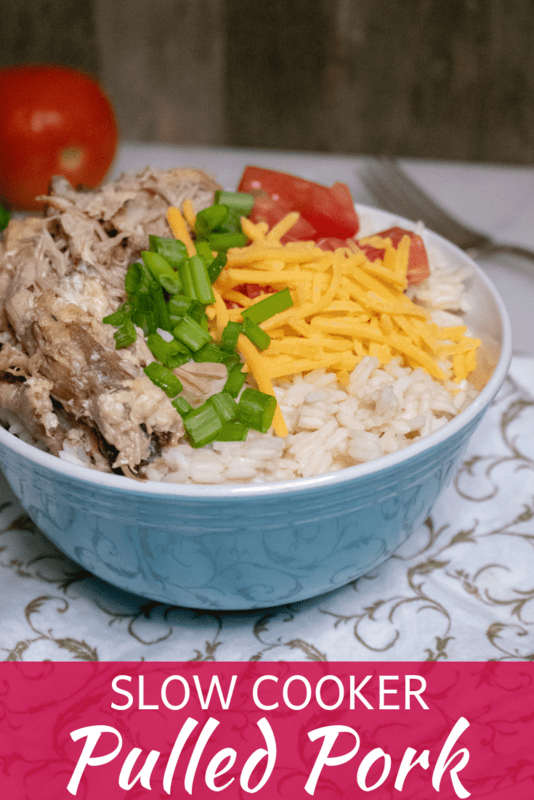 Then offer up this Mexican Slow Cooker Shredded Chicken instead. Same easy preparation and shredded presentation. And to not leave out the beef, here’s a great recipe for Slow Cooker Pot Roast! 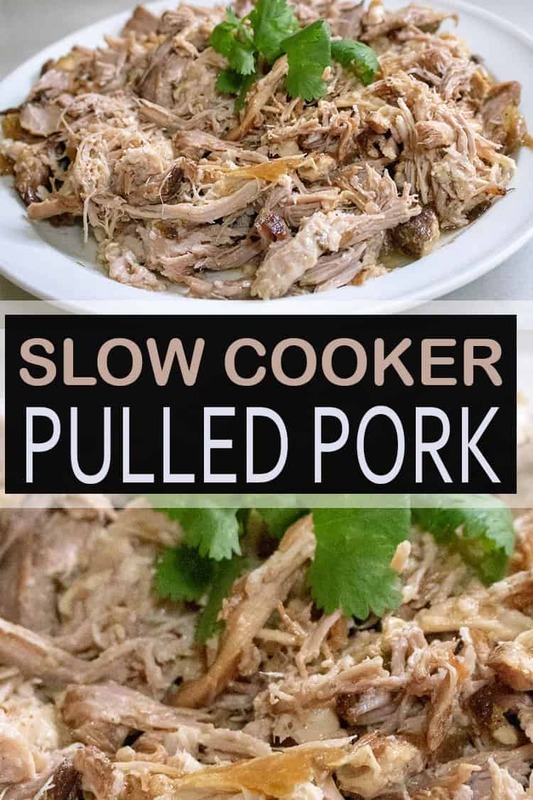 This Slow Cooker Pulled Pork recipe is made with just a few simple ingredients and comes together easily. Just 5 minutes of prep and the slow cooker does the rest! 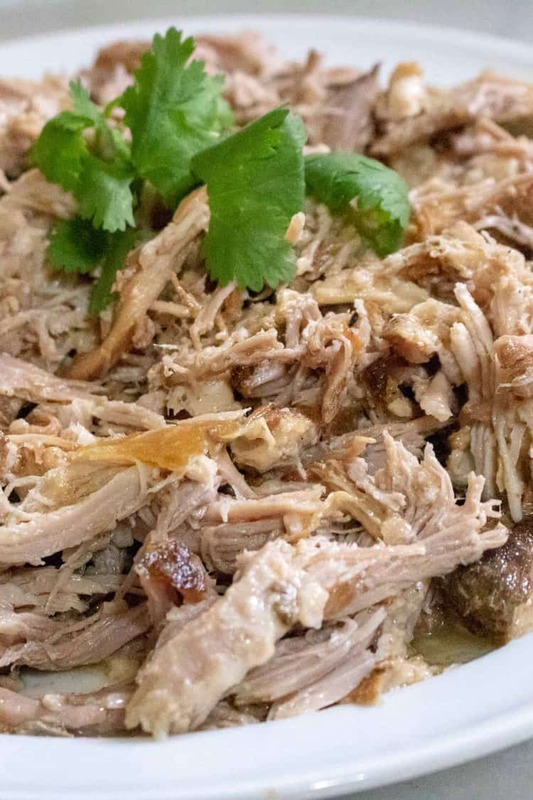 This delectable slow cooker pulled pork is amazingly moist and SO flavorful. Cut pork roast in a criss-cross fashion. Rub spices into the crevices. 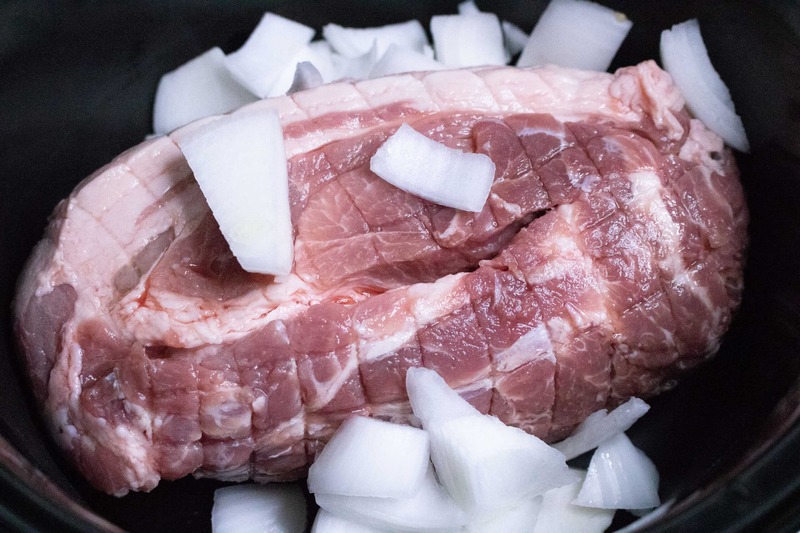 Place pork in the slow cooker along with water and onion. 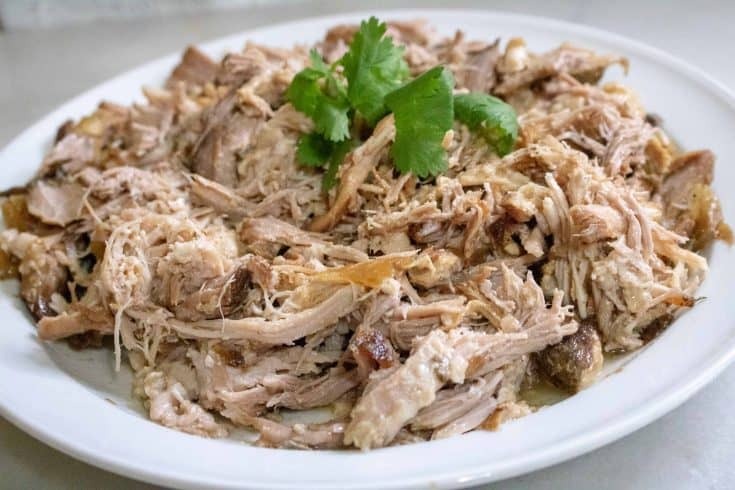 Remove pork from slow cooker and shred with fork.